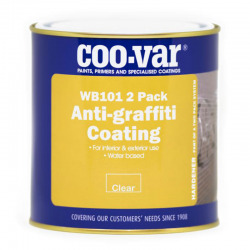 A biodegradable, semi-permanent wax-based anti-graffiti coating developed and manufactured by Rust-Oleum, suitable for use on surfaces in need of protection against graffiti and other pollutants. It instantly forms a sacrificial layer based on natural wax that is suitable for a single cleaning process. Rust-Oleum GraffitiShield Wax should be re-applied after cleaning. 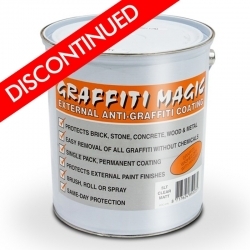 Rust-Oleum GraffitiShield Wax is a biodegradable, semi-permanent wax-based anti-graffiti coating, suitable for use on surfaces in need of protection against graffiti and other pollutants. It instantly forms a sacrificial layer based on natural wax that is suitable for a single cleaning process. Rust-Oleum GraffitiShield Wax should be re-applied after cleaning. Rust-Oleum uses a natural wax for this system, making it an environmentally friendlier alternative to permanent systems. Even more so because no special chemical cleaners are required. 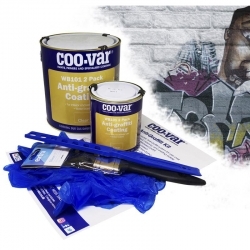 Rust-Oleum GraffitiShield Wax is solvent-free, UV resistant, easy to apply, virtually invisible, water vapour permeable, economical to use and quick-working. 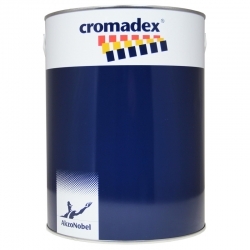 Once it has hardened, Rust-Oleum GraffitiShield Wax is very resistant to many types of ink and paint. Graffiti can be easily removed with hot water. Once the graffiti has been removed, the cleaned areas should once again be coated with Rust-Oleum GraffitiShield Wax. 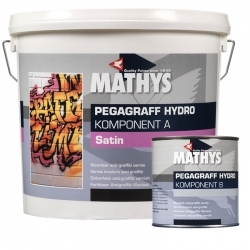 Once the hardening period has passed, this will ensure that the treated surface is once again resistant to graffiti. Rust-Oleum GraffitiShield Wax is suitable for dimension stone, brick, calcium silicate, concrete, acrylic, and marble. It is important that the surfaces used can be cleaned under high pressures, at a water temperature of 70-90°C. 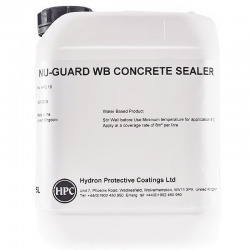 Depending of the surface and the conditions a temporary (sacrificial) or permanent protection layer can be chosen. 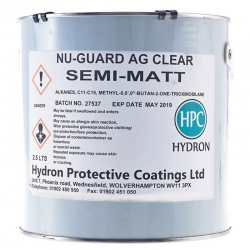 Sacrificial means the layer itself will be completely removed together with the graffiti during every cleaning process using high pressure cleaning with hot water. 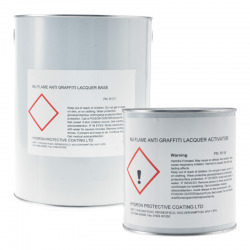 Nu-Flame AG Colourcoat is a pigmented and smooth fire retardant coating with anti-graffiti properties. 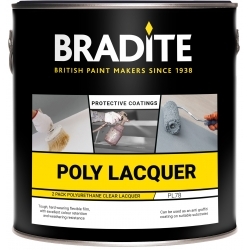 Water-soluble, easy to clean and available in BS 4800 shades. Advantages Water-soluble urethane coating. 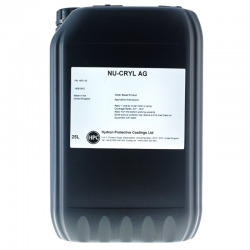 Safe for internal applications. 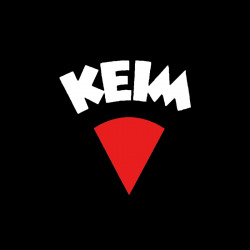 Easy to clean. BS 4800 shades. Graffiti resistant. UV stable. 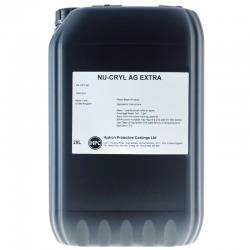 10-12m²/Litre coverage. 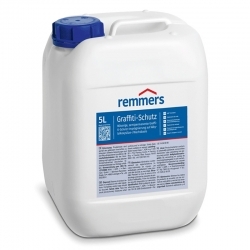 Remmers Graffiti Protection is a watery, semi-permanent impregnation agent on a alkylalkoxysilane / wax basis for protection against graffiti. For use indoors and outdoors on mineral building materials, such as bricks, natural stone, concrete, sand-lime. The ideal way to combat unwanted graffiti. 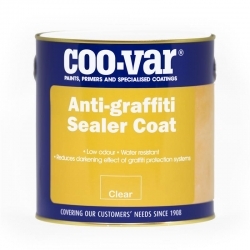 Can be applied to masonry, brick, plaster, wood and previously painted surfaces by brush or roller to give a clear off-gloss finish to enable graffiti to be removed easily with Coo-Var Liquid Graffiti Remover.